These two tools are the ideal tools to have for people who want to manually cut and remove lake weeds manually & efficiently. Many of our customers order both of these items at the same time. Many of the ones who don't sometimes end up ordering the other one later anyway. This is why we have decided to create the WeedShear & Lake Rake package. Cuts a 49” path with every pass. Includes blade sharpener and protective gloves. For long tosses, use the shorter, lighter handle (included). For long reaches into cattails or under a dock, use all of the extensions to reach 9 FEET (included). The handle comes in 3 pieces with a total length of over 100″(included). 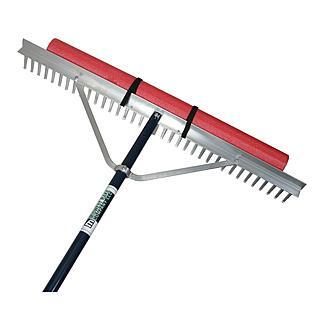 This rake is our most popular rake. 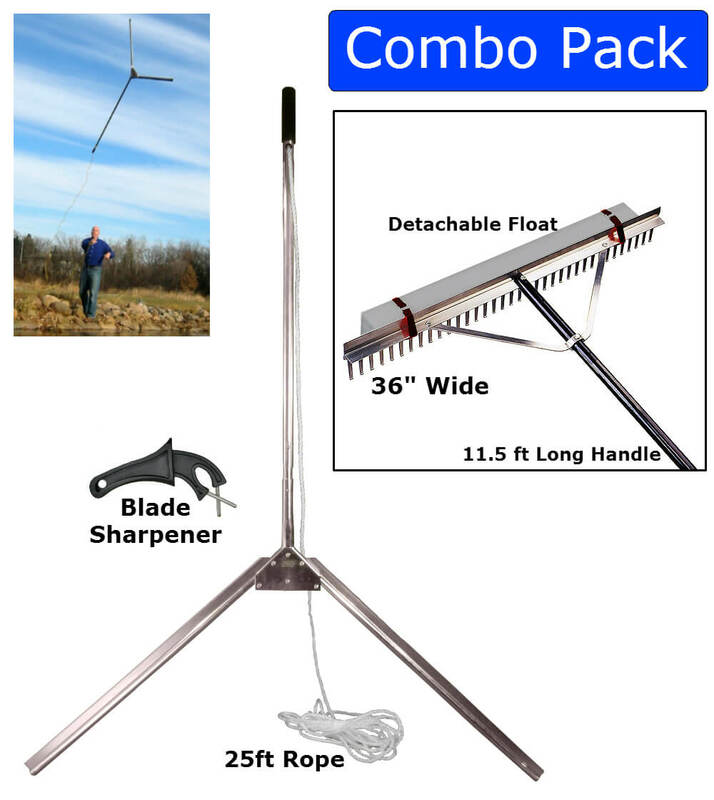 Not to mention this is made in the USA and comes with a LIFETIME WARRANTY Use this to rake the lake or pond bottom to remove weeds, debris or muck. Works excellent for grooming dead and living aquatic weeds and decaying organic plants on the bottom of your beach and along the shoreline. Use the float to skim the surface and pull in weeds on the top of the water. It also works great for landscaping and keeping your beach looking nice and groomed. Measures 36 inch wide head by 11 feet long. 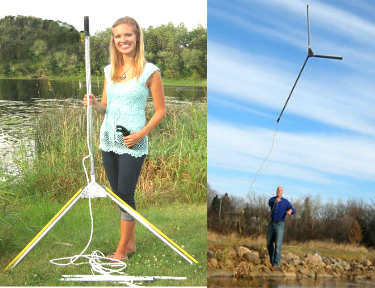 20 ft rope, 11.5 ft handle and an attachable float included. In a few hours with the shears I had cleared my beach of all vegetation. Highly recommend it. This cutter is very sharp and long enough to cut pondweed quickly and easily. The cutter itself is light enough to throw 10-15 feet into the water, yet heavy enough to sink to the bottom to cut weeds from their bases. The rake is also light enough to throw and floats well for surface raking purposes. cutting I sure was glad I bought the rake. The cutter works really well for my application. It cuts the weeds (milfoil) and drags them in along with muck from the bottom. It's all the weight I can handle in one pull. I haven't had a chance to test the rake but my neighbor who has a siltier bottom says it works well for gathering in the float. n like it says and the weeds were cut off at the base floated to the top, took the rake with the floaty foam attached and raked them to the shore. The neighbors have lots of weeds, & I am weed free! The Weed Shear turned out to be a simple, effective, ingenious solution to my weed-choked beach. I didn't use the throw-out feature. I just waded out and began dragging it along the bottom. Lo and behold the weeds (mostly Milfoil) sliced off cleanly and didn't stick to the rake. I cleared a large area in less than an hour with very little effort. I used the big lake rake to clear remaining weeds off the bottom, and I now have a nice sandy beach again. Who knew you could buy great stuff like this on the Internet! really did a nice job....hoping this lasts for a while too! Kinds of laborious, but the neighbors are now borrowing it. Love your products! Good quality that is affordable. Environmentally friendly.